Little Black Diamonds | Come Due Maiali / "Like Two Pigs"
For a foodie always on a mission to maximize her (and her companion’s) eating pleasure, Valentine’s Day presents a special challenge. The question is: how do you hit a new high and top last year’s memory? 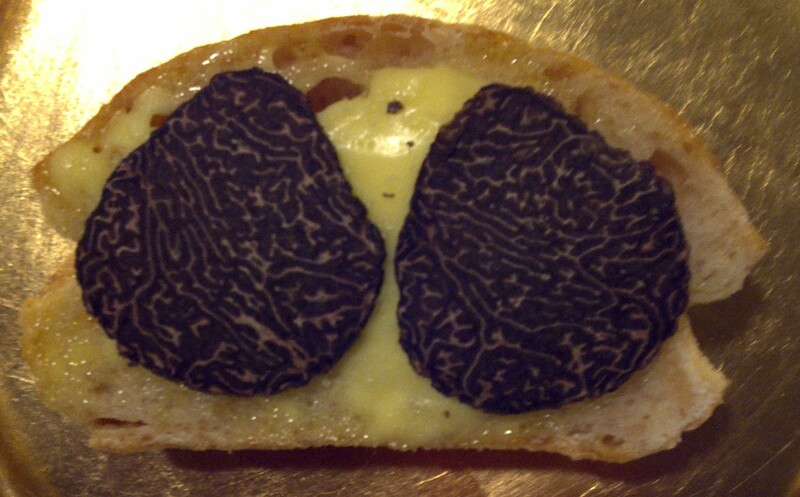 Inspired by Peter Mayle and his book “A Year in Provence”, I got my hands on a couple of fresh black winter truffles. We decided to do our celebratory dinner early, as around Valentine’s, we will be dancing Argentine tango around the clock and noshing in Portland, Oregon. 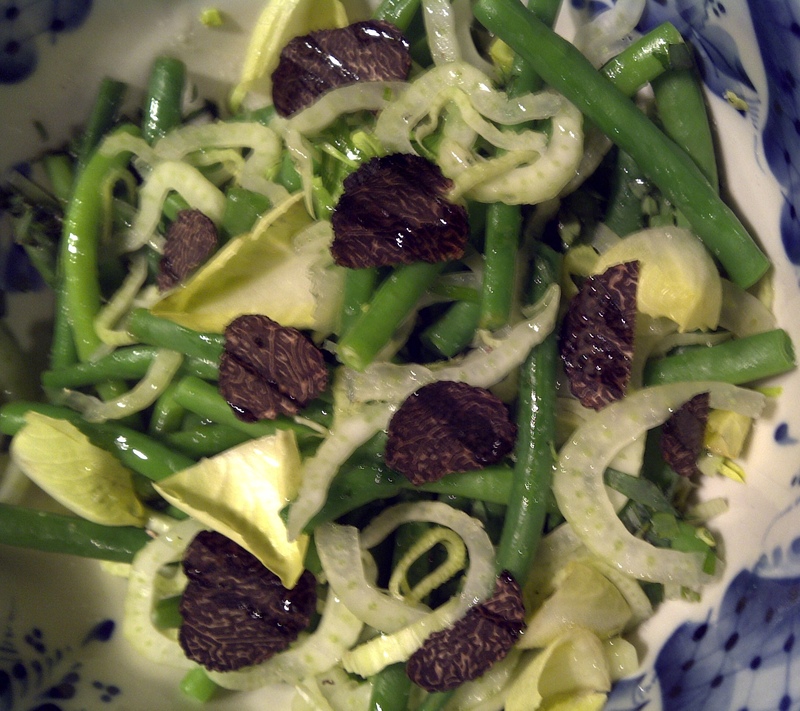 The truth is, I had never cooked with fresh truffles before. Truffle salt, yes. Truffle oil, yes. But not with fresh truffles. I felt it was time to indulge in “the luxury of grands seigneurs and kept women”, as Brillat-Saverin described it back in the day. He is also the guy who nicknamed truffles “black diamonds”, as the prices are “très sérieux”: a 1oz truffle can set you back anywhere from $50 to $150, depending on its origin. Luckily, this is all you need to pull off a truffle menu for two (and a small pairing knife, which I found more handy than other slicers and mandolines). And so, “rigid with porcine determination”, I cancelled all evening plans, and started working on a theme. I finally decided on “casual minimalist with a twist”. And for dessert – you guessed it – fabulous sea salt caramel Christopher Elbow truffles purchased from Cocova (formerly known as Biagio Fine Chocolates). 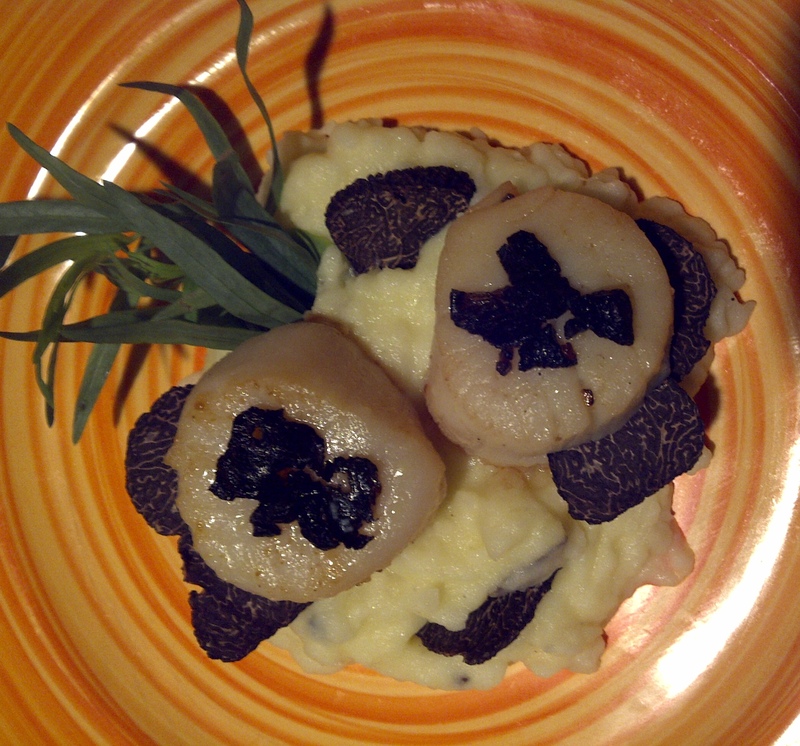 This entry was posted in cooking, food and tagged black diamonds, Brillat-Saverin, Cocova, Peter Mayle, truffles, vegetarian Valentine's menu by Come Due Maiali. Bookmark the permalink. Yes! No 10- or 20-step recipes, very few ingredients per dish, and simple preparation to showcase the truffles and keep the flavors subtle. I would also add that it is quite casual (before you add the truffles): simple green salad, buttered toast, mashed celeriac + potatoes, etc. Sounds and looks delicious! And didn’t realize the process of finding truffles is so tricky (plus, not letting the piggie have one). Ha, makes sense! Yesterday I had salmon spread (from IKEA) on whole grain bread and felt very accomplished. Now, I read about your truffles here and things are just not the same. No, they are certainly very perishable! What they do is Fedex the truffle to you in a cooler (it is kind of a matryoshka doll setup: the truffle is in a napkin which is placed in a paper sack which is placed in a plastic sleeve which is placed in a styrofoam cooler which is placed in a cardboard box together with an ice pack). It is all pretty elaborate. Truffles is to use an isi with the nitrous. Either put the truffles in the isi and give it to charges, open the nozzle a little to remove the air inside while using the first charge. Or fill the isi with two charges and pump the nitrous into a bag or a container with the truffles that seals well, blast the nitrous until it is empty then seal the container quickly. lol, saw that, I am a kitchen gadget freak! If they make it I gotta have it, then again I am in the industry. I want to come to your house for Valentine’s Day. The food sounds absolutely delicious. I love your writing also. I am a new follower and glad I found you. Thank you for your kind words! I feel very flattered. I enjoyed reading yours, too! Does this not make you HUNGRY? What an awesome idea for valentine’s day. It’s so weird to read about a valentine’s day meal on the most unromantic of all days. Superbowl day is the day where men are raw men. They belch, they fart, they forget their table manners, they’re free to be guys. But next week, I will seriously entertain the concept of making this meal. It often pays off to be a contrarian. Let me know how your “guy taming with truffles” scheme works. I swear, I could not have wished for a better tool than a paring knife. I have small hands! I have bought a mandoline, but using it on a small truffle terrifies me, quite frankly. It is pretty intricate work, as besides the slicing, you have to trim it a bit, and reserve every bit of those shavings for truffle butter. Look forward to the day when I can use truffles. I need a cigarette (just kidding). You and me both…love that place! Thanks for visiting my blog! Now you need a truffle slicer. That was a serious amount of truffle to experiment with. Nice going on getting your hands on those guys. What an exciting and posh meal. 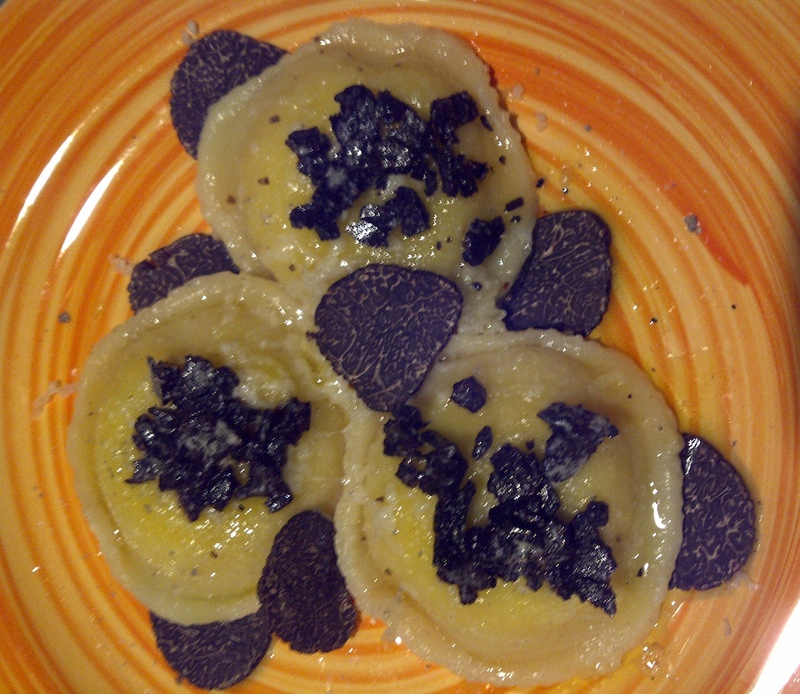 I have been trying to get a hold of black truffles but this season hasn’t been the best in Oregon. You have any extras? 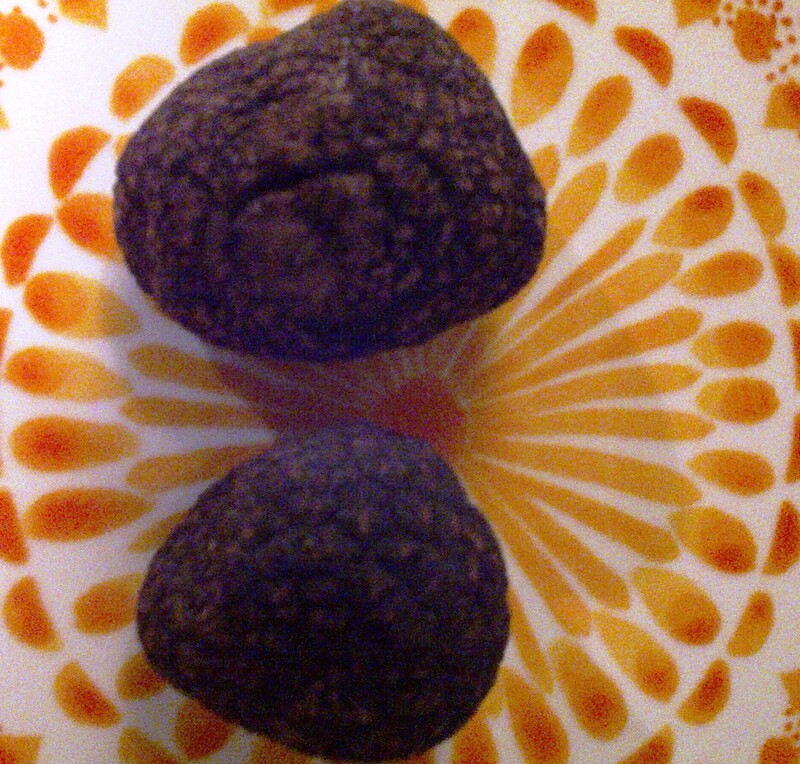 but, if you are not opposed to European ones, the cheapest way to get them (that I know of) is through Urbani truffles website.